Build Your Own Farmhouse Style Table Out of an Old Door (For under $15) – Proffitt Design Co.
Posted on January 23, 2018 January 23, 2018 by Proffitt Design Co.
After our last post, which included pictures of our dining room setup, we have had a couple people asking about the “vintage farmhouse table” that was shown. Truth be told, the only thing that is “vintage” about that table is the old, wooden, barn-style door that forms the tabletop, and not much else. Before we get too far into this, let me start by saying that all of the posts on the website so far have come from Afton’s point of view, being more of a design perspective (and spoiler alert: the majority of the posts in the future will probably come from her, as well). However, for this week’s blog post, I felt led to take over the metaphorical reigns, temporarily, to show you how you can easily make a farmhouse-style table similar to ours in a short day’s work. The dream/motivation for this table all started with the tabletop itself, which of course, was not actually a tabletop to begin with at all. Afton and I were in the midst of one of the most exciting, chaotic, fun summers of our lives which included: graduating college, accepting our first “big kid” jobs, setting up our classrooms to teach, planning a wedding (that we changed the date of 3 weeks away from the wedding date), moving into our first apartment together, and more whenever we found the old door that would eventually serve as the hub for all of our family meals. However… that’s another story for another day because in the midst of that summer of 2016, Afton and I had come across a problem that needed to be solved, and solved quickly: we were going to live in our first apartment together that was completely unfurnished. For those past few years, we’d lived in campus housing, fraternity and sorority houses, and shared places with roommates and furnishings, so this had never really come up before. But since Afton’s design style is not minimalist (or homeless), and since most of our precious few resources were being poured into our wedding, we had to get creative. Afton and I took the old, forgotten, dirty door back to my Dad’s shop and we decided to make true of the old (edited) saying: “One man’s trash is another man’s dining room table.” My favorite thing about creating this table was the simplicity of it due to the fact that I only used 2 different sizes of wood to create the legs, which we then mounted to the underside of the old door. So grab yourself a few 2×6 boards, a 2×4 board, and let’s get to work! First, cut two pieces of 2×6 that are 28 in. long each, then tilt your saw to a 45 degree angle and taper off the ends forming the board into a trapezoid shape (label each of those pieces “A” somewhere on the board). Next, cut four pieces of 2×6 that are 20 in. long each and label these parts “B.” Then, cut two pieces of 2×6 that are 25 in. long each and label these boards “C.” Lastly, cut eight pieces of 2×4 that are 12 in. long each and taper the ends off at a 45 degree angle to form a trapezoid shape on all eight boards, (similar to your cuts on board “A”) and then label these parts “D.” After all of these cuts are made and pieces are labeled and sorted, then we’re ready to start assembling the legs! I’m going to focus on how to build one of the two legs, and then simply go back and repeat these steps using your remaining boards to assemble the second identical leg after finishing the first. Place board “A” flat on the ground with the longer side of the board touching the ground. Take one of your boards labeled “B” and center it on top of that one and mount it to the top of board “A.” I just used three screws on either side, but you can use screws, nails, wood glue, etc. (For instant results and no drying time, I went with screws). Next, take board “C” and stand it on its end, centering it on top of board “B”. This will provide the height for your table. Want a taller table? Make board “C” longer than 25 in. Want it shorter? Make it shorter than 25 in. While board “C” is standing on its end in the center of board “B”, grab two of your “D” boards and mount one of each on either side of the standing “C” board. Screw one end of each “D” to the top of board “B” and the other end to the side of board “C” therefore stabilizing it so it can stand on its own. Next, take another one of your “B” boards and balance it on top of your “C” board. As it sits there, then you can position where you will mount your other two “D” boards in a similar manner to the ones right below it, except these are at the top of the leg rather than the bottom. Mount the two “D” board to the vertical “C” board on one end, and to the horizontal “B” board on the other end, and then your table leg is complete and ready to attach to the tabletop! As I mentioned before, repeat all of the above steps to create your second matching table leg, and then prepare to mount them to your tabletop. To connect the table legs to the table top, I once again used screws so that we could have a secure connection, but also wouldn’t have to wait. Positioning your table legs under your tabletop is all personal preference based on leg room, tabletop size (our tabletop measures 68 in. long by 33 in. wide), number of chairs/chair size (our table seats 6 chairs), and more. However I’ll give you my leg positioning measurements that I used. Turn your tabletop over so that the underside is facing up, and take your table leg and turn it upside down with your part “B” touching the underside of the tabletop. From the end of the table, I measured 13 inches in so as to leave room for the “head of the table” to have leg room, and centered the leg from the sides of the table. The second leg is also 13 inches in from the head of the table, and there are approximately 32 inches in between each of the two legs. Luckily for me, I collect and “acquire” assorted wood, lumber, paint, and all other things project-related like a 5th grade boy with Pokémon cards. For me, the all-in cost of this project was a whopping $0.00. However I realize this might not be the case for all, so I took the liberty of giving an estimate what everything would have cost had I gone out to buy supplies. One 8 ft. long 2×4 board (which is exactly how long you’ll need for all of your “D” boards) rings up at $3.44 at Home Depot. Three 7 ½ ft. long 2×6 boards add up to $10.65 (at $3.55 per board). I know that I can’t be the only one with a few boxes of screws laying around the house and a half-used can of paint or two (or twenty-seven) in my basement, so I didn’t bother with including those. I’m no mathematician by any means, but all-in (excluding the tabletop, of course… I got pretty lucky with that find), I’d estimate that you could build the legs to your very own farmhouse style table for under $15. And if you wanted to take it a step further and build your own tabletop… just add another $10-$15 to that cost! This dining room table has been the anchor of our home dating back to our very first 700-square-foot apartment and has thankfully made the move with us to our first house. If I had to guess, with all of the history this piece has and the stories behind it… I’d say it won’t be going anywhere anytime soon. I never tire of this sweet story …busy 2016!!!! I love this table…I have always “coveted ” it!!! Braden , I like your nicevanhle supports. How did you get your angle supports cut. I need to cut some angle supports for a project that I’m building? Pingback: FARMHOUSE TABLE GIVEAWAY! 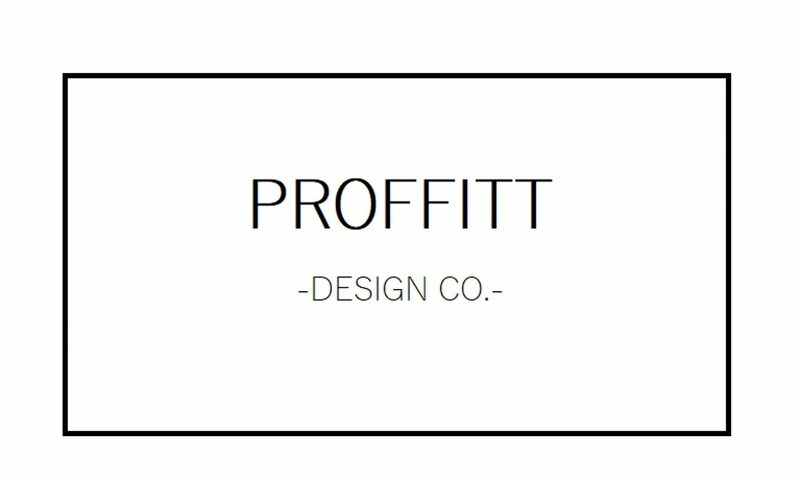 – Proffitt Design Co. Thank you so much, Jeanell!